Happy Friday Wyrdos! I had a lot of trouble pinning down exactly what model this preview was, but I finally figured it out. It's a Morphling! It was tough to decide with all that morphing around. Let's take a look. All Gibbering Hordes have the ability to change their physiology to some extent, but Morphlings have far greater control over their bodies than most. 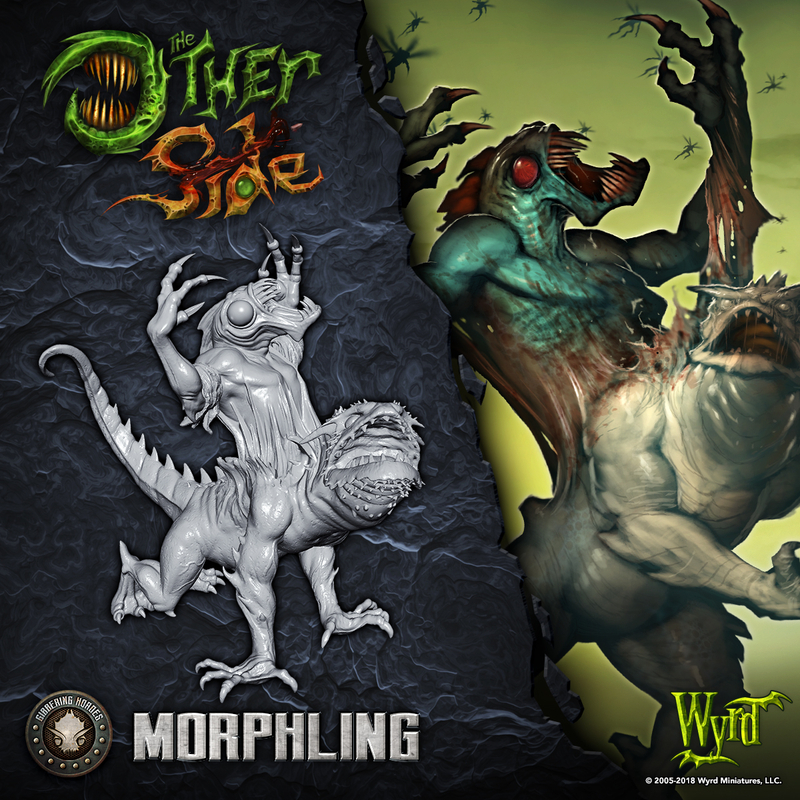 Similar to Neverborn Dopplegangers, these brutal creatures frequently exploit their talents to become the alpha hunters of their pods. the number of things it can reasonably change into. On the table, Morphlings are an excellent addition to almost any Squad. They can perform Actions printed on any friendly Squad in play, which grants their unit a bit of additional (and unexpected) flexibility. That artwork is really cool, love the colour scheme change. Do they synergize with the Frenzies? The cards are available in the 'The Other Side' part of the main website, you can read them there. Morphling just specifies 'friendly'. My feelings on this model change every time I see it.